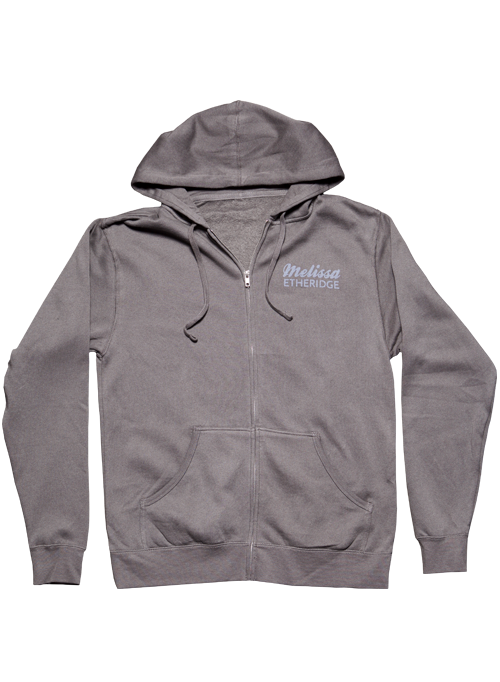 It might be too cold to wear your favorite concert T-shirt, but with this Melissa Etheridge name and logo gray heavyweight zippered hoodie, you can support your favorite artist while staying warm. This premium hoodie features Melissa's name on front and her classic logo, bold and beautiful, on the back. This is a no-nonsense, high-quality unisex hoodie, made from heavyweight fabric. This is the perfect wardrobe choice for an outdoor festival or any outdoor activity.